Asta first met Fanzell Kruger shortly after he received his grimoire. He runs into him while training with his new anti-magic sword. Fanzell uses wind magic and is able to turn wind into a sword so he helps Asta train. One day while they're in the forest, someone comes for Fanzell's life.. While Asta and the others were meeting with the Queen of Witches, the forces of the Diamond Kingdom and the Eye of the Midnight Sun were getting closer to the Witches' Forest. The party asks the Queen of Witches to cure Asta's arms so he can help protect the witches from the incoming forces. The Queen of Witches takes interest in Asta's anti-magic sword and cures Asta's arms. The party splits up into two different teams to go face off with both of the incoming forces. While Asta and the other Black Bulls were fighting with Fana, Fanzell was facing off with the forces of the Diamond Kingdom, which he used to be a part of. The forces happen to be led by two of Fanzell's former students, Ladros and Mars. Fanzell left the Diamond Kingdom because he didn't agree with the kingdom's methods, but before, he would train children on how to use their powers for the Diamond Kingdom. Fanzell tries to reason with his former students, but Ladros attacks regardlessly, forcing Fanzell to fight with them. Asta and the others safely return to the Black Bulls' base after defeating the Eye of the Midnight Sun and the Diamond Kingdom in the Witches' Forest. 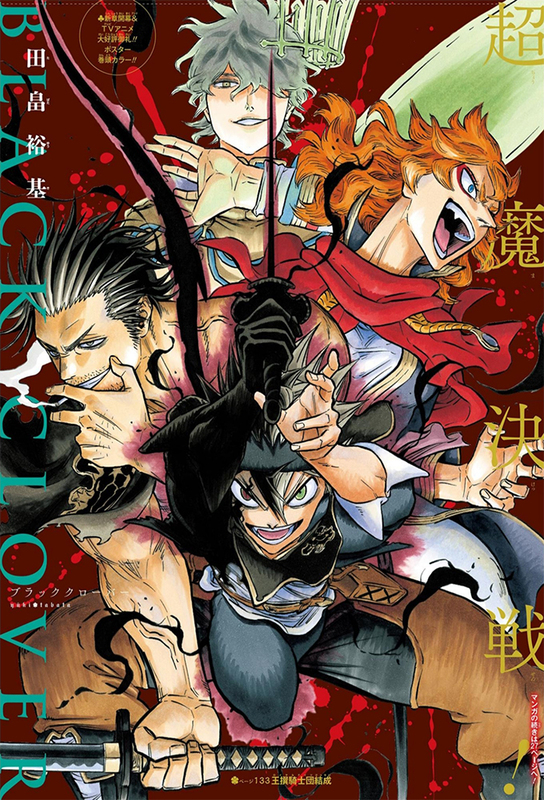 Now that Asta's arms have healed, the Black Bulls as well as Yuno, Klaus, and Mimosa are relieved. However, there's no telling when the Eye of the Midnight Sun or the Diamond Kingdom will try to attack the Clover Kingdom again. Klaus then brings up a proposal to Yuno and Mimosa.